If you are an artist in the western suburbs and you are interested in joining an art group, Art West may be the group you are looking for. Contact us for more information on this group. APAT was established to stimulate an awareness of the art and to encourage teachers by such means as the promotion of classes, demonstrations, seminars, meetings, lectures and discussions. Qld welcomes non-teaching painters to join us. The Botanical Artists’ Society of Queensland is a voluntary, non profit organisation formed to foster a greater knowledge, love and understanding of Botanical Art. The Society’s focus is two-fold: to provide courses for those beginning or improving their art and to exhibit members’ art. Ceramic Arts QLD (CAQ – formerly QPA / Fusions) are a not-for-profit volunteer run organisation that was formed in Brisbane in 1968 by a group of potters whose vision was to create a platform for Queensland ceramic artists to exchange information and ideas, exhibit work, attend workshops, and connect via newsletter containing technical data and other matters of interest for all potters in both the Brisbane and Regional areas. The Creative Glass Guild of Queensland was formed in 1979 to encourage sharing of knowledge, and improvement of, skills of those who enjoy working with glass in a creative way. Being in the hands of an ageing population, traditional glass arts are at risk of dying out. In Australia, the Guild is unique in offering a range of glass art courses in one place with facilities and equipment “on loan” for members to practice & hone skills. We offer courses and workshops in Bead Making (Lampwork), Fusing and Slumping, Leadlight & Copperfoiling, Mosaics, Sand Blasting and traditional Stained Glass. The Association was formed in 1985 and is dedicated to the development of the present and future members to encourage the highest standards and and to promote and advance leather in its many forms. Migaloo Press evolved through a group of women with common interests through their love of art and printmaking. Many of us have known each other for years, but there are some newcomers to the group too. Individually we enjoy a diverse range of artistic practises, including painting and drawing, photography, assemblage, collage, ceramics, gold and silver smithing, paper making/fibre art and artist books/book binding, to name a few. We are brought together by our love of printmaking and all things related to print and the friendships that we have developed over years of working and exhibiting together.We will be running workshops and sharing skills days on a regular basis from the Brisbane Visual Arts Community in Tarragindi from Mid-2017. A community art gallery run by artists. The Old Schoolhouse Gallery promotes the visual arts by instruction, information and inspiration. Encouraging participation through workshops and celebrating artistic expression by providing opportunities to exhibit and sell. Papermakers of Qld (‘POQ’) connects artists who share a passion for paper as an art form in it’s own right. They meet regularly with an emphasis on the exchange of skills and encouraging experimentation. The Queensland Bookbinders’ Guild was formed to foster, encourage and practice the craft of bookbinding and associated graphic and paper arts. Our Guild and its members have a love of the fine arts and especially that of embroidery. Throughout the ages, people of all backgrounds and ethnic diversity have wanted to beautify their clothes and homes. We continue to build and enhance this tradition. A collection of artisans that enjoy the art of enamelling. Enamelling is the technique of applying glass on metal and then firing it at high temperatures. The Queensland Spinners Weavers and Dyers Group was founded in 1969. In April 2006 our name was changed to the Queensland Spinners Weavers and Fibre Artists to reflect the enormous variety of crafts our members are involved in. The Society was established in 1983 in Brisbane, Australia, by a small group of artists interested in fostering the study and appreciation of wildlife art specifically relating to Australia’s unique species. QWASI became incorporated in 1995 and membership has steadily grown to include artists from all over Australia and overseas. Restitch is a community-based project that addresses the issue of clothing waste by hosting hands-on workshops to empower individuals with skills and ideas to extend the useful life of our clothes. The half-day workshops also aim to raise awareness of the environmental impact of clothing and highlight potential local solutions. 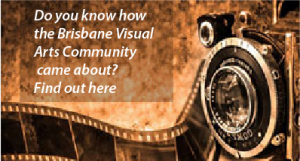 To serve the artistic needs of Brisbane people from all walks of life and provide networking opportunities with fellow artists, exhibition space and retail exposure for members. Tamborine Mountain Arts Collective (TMAC) is a grassroots group of working artists and artisans whose aim is to create opportunities for artists who live within the region through workshops, mentoring and artists-in-residence programs. Is an incorporated, not-for-profit organisation whose main objectives are to provide opportunities for self-education to artists at all stages of their development, who in turn are encouraged to share their skills and knowledge with fellow- artists and, on occasions, with the community. The Society extends a warm invitation to all people who enjoy the art of watercolour painting, to join us and take part in our events and activities. Western Suburbs Clayworkers (WSC) is a friendly group providing peer support for all levels of ceramic artists. It is based in Sherwood. Although no classes are conducted, the group caters for beginners to professional. The group conducts an annual exhibition, in-studio workshops, members firing service, and excursions. It produces a very informative monthly newsletter, and participates in the Pop-up Shops conducted by BVAC. More information about our group is available on our website.